Tania (my Insanity nemesis) sure isn’t smiling in this picture! I started out smiling during yesterday’s Max Recovery workout. Nice, leisurely stretching and a low-volume Shaun T. But then came the plie sequence. I had completely repressed that memory. And now it came back vividly. Never ending plie squats, then squat pulses, then with one heel raised, then the other leg, then both. The horrible thing is that once you recognize the pattern, you realize you’re only half way done. My brain was screaming at me to stop. Yet I soldiered on. Why? because I had done it before and I was unwilling to regress. And so I’m paying the price today with achy thighs and calves. 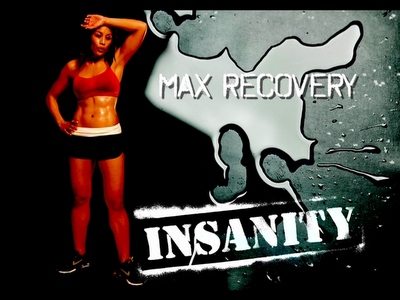 This entry was posted in P90X-Insanity Hybrid, Round 3 and tagged Calories, Heart Rate, Max Recovery, P90X-Insanity Hybrid, Tania Ante Baron. Bookmark the permalink.